At Faucets & Fixtures, LLC, we specialize in plumbing repair and installation services. We offer 25 years worth of knowledge and experience, as well as fast, reliable service to our King of Prussia customers. 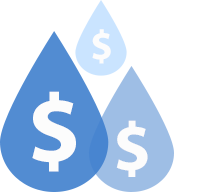 Additionally, we use a preferred pricing model when compared with competitors. Our prices are all-inclusive — parts, labor, taxes — so you won’t encounter any unwelcome surprises when we’ve finished our work. We also practice pricing consistency for all clients and projects. In addition to King of Prussia, our plumbers work in Newtown Square and Malvern. Below, we’ve detailed the plumbing services in which we specialize. You can click on each link to find more specific information. With the average water heater lasting only 12 years, it’s a good idea to have someone come out and inspect the heater before the flooding begins. We’ll repair or replace your hot water heater quickly so you can get back to warm showers and doing laundry. Learn more. We offer a large selection of high quality replacement faucets to spruce up your bathroom. If it’s just a leaky faucet that needs repairing, we’ve got that covered too. Contact us for your King of Prussia faucet repairs and replacements. Learn more. Garbage disposal repairs can be difficult to do on your own, and living with clogged up food waste is never ideal. We have years of experience repairing and installing all types of garbage disposals. We’re known for our fast and friendly service. Learn more. Is there anything more annoying than a leaky toilet? If your toilet is in need of repair, our team will get the job done quickly and efficiently. We also offer toilet installations if you’d like to replace an old or faulty model. Our work comes with a satisfaction guarantee. Learn more.